President Donald Trump has expressed discontent with Attorney General Jeff Sessions and accused other prominent members of the Justice Department and the FBI of having conflicts of interest in a wide-ranging interview with the New York Times. Trump complained that Sessions’ decision to recuse himself from the Russia investigations was “very unfair to him [the president],” in a 50-minute interview with the New York Times published Wednesday. “Sessions should have never recused himself, and if he was going to recuse himself, he should have told me before he took the job and I would have picked somebody else,” Trump said. “It's extremely unfair – and that's a mild word – to the President." Trump also criticized Sessions for testimony he provided during the Senate confirmation hearings when he said he never met with any Russians during the campaign. 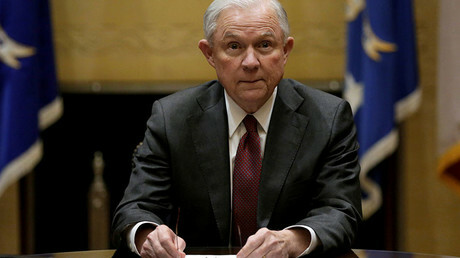 Sessions later amended his testimony, after it was revealed that he met with Sergey Kislyak, the Russian ambassador to the US. During the interview, Trump made fresh accusations against fired FBI director James Comey, saying that two weeks before his inauguration, Comey presented him with an FBI dossier that was filled with salacious allegations. Trump said that Comey only did this to have leverage over him. However, Trump also said that he immediately dismissed the dossier as false. “When he brought it to me, I said this is really, made-up junk. I didn’t think about any of it. 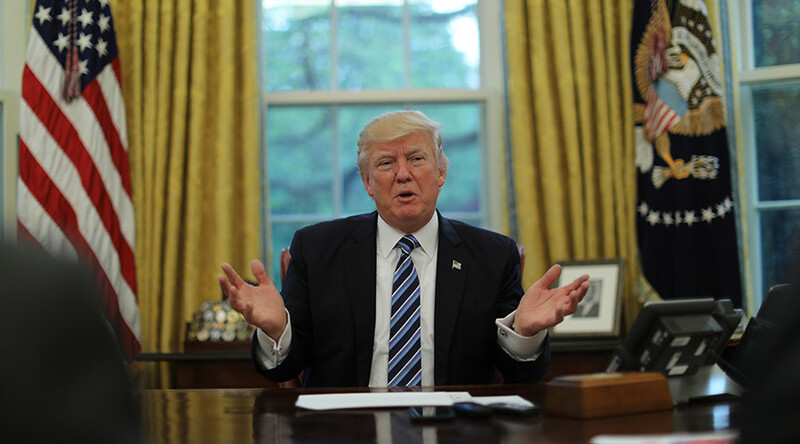 I just thought about, man, this is such a phony deal,” Trump said. When Comey testified before Congress, he said he gave Trump the dossier, because he thought Trump had the right to know the information that was out there before the media reported on it. Trump also denied Comey’s claim he kicked everyone out of the Oval Office so that he could ask Comey to end the investigation into his former National Security Adviser Gen. Michael Flynn. Trump then accused Russia investigation special counsel Robert Mueller of having conflicts of interest, mentioning the fact that he interviewed him to replace Comey before he had been appointed special counsel. Trump said that, as far as he knew, he was not, and still is not, under investigation himself. Trump then went after Deputy Attorney General Rod Rosenstein, criticizing him for recommending firing Comey and then appointing Mueller. Trump said it was a conflict of interest since Mueller might be investigating whether firing Comey constitutes obstruction of justice. Trump also suggested that Andrew McCabe, the acting director of the FBI, had a conflict of interest as well. Trump told the Times that McCabe’s wife received nearly $500,000 during a run for the Virginia senate in 2015 from a political action committee with ties to the state’s Governor Terry McAuliffe (D), a friend of former President Bill Clinton and former Secretary of State Hillary Clinton. When asked about his meeting with Russian President Vladimir Putin at the Group of 20 summit meeting in Hamburg, Germany, Trump said that they just talked about adoption. 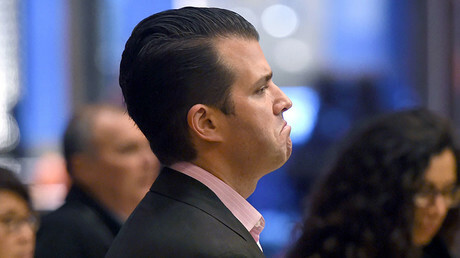 Trump noted that his son, Donald Trump Jr, recently said that a meeting he had with a Russian lawyer during the campaign was also about adoption. However, the president reiterated that he had no knowledge of the meeting between his son and the Russian lawyer, boasting that he would not have needed any damaging information on Clinton anyway.